Did you hear about softball from a friend and want to find out more? Our league is designed for all skill levels: New to Experienced. We offer a skills clinic plus a free agent clinic to help you find the right team. Just register via the link below and if you don't have a team, we will find the right fit for you. We look forward to seeing you on the field! The Registration "New to Softball" is not currently available. I don’t let them use a glove to field with at the first practice. They learn the catch ground balls barehanded using two hands. 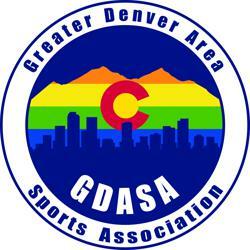 Interested in becoming a sponsor of Greater Denver Area Sports Association? ©2019 Greater Denver Area Sports Association / SportsEngine. All Rights Reserved.